WOW! 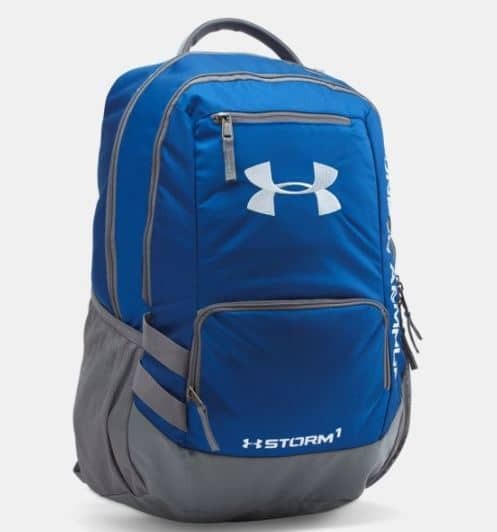 Under Armour Storm Hustle II Backpack ONLY $27.19! MANY COLORS! PLUS get FREE SHIPPING when you spend $30 and use code BRAD30. Stacy King Maines Thank you so much! You rock! They were that price this morning they must have changed it. The brad code is for free shipping at $30. I called them and asked them if they would price match it to yesterday’s price since the $27.19 price is still showing up in sponsored ads for me. I sent them this screenshot, and not only did they match it back to $27.19, but they let me use my shoprunner account over the phone, so I got free shipping, too! Thanks, ladies! You rock! Awesome! Funny I have shoprunner but when I had it in my cart it didn’t show as free shipping!